Amazon is hosting its Prime Day sale exclusively for its users with Prime membership and its raining deals in almost every category. We’ve already covered the impressive deal on TCL 4K Smart TV which gives you a second TV free but if you’re on a strict budget, you could consider this great deal as well. 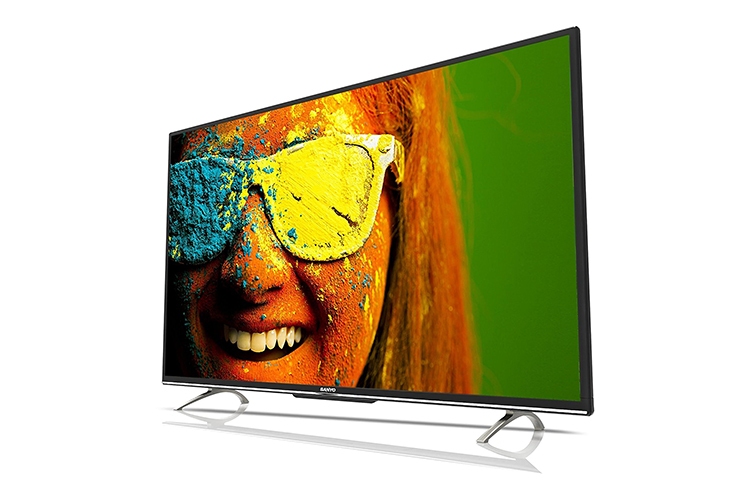 You can get a 43-inch LED Smart TV from Japanese electronics maker Sanyo for Rs. 25,990 (a whopping 45% off). The Sanyo Smart TV uses a super-bright LED panel which the company claims to produce true and natural colors and a great amount of detail, thanks to the proprietary “In-Plane Switching” technology which ensures that colors don’t switch with the viewing angle. It is powered by Android and supports all popular apps including YouTube and Netflix – both apps get dedicated buttons on the remote control which can be used to launch them directly. The Smart TV comes with two 8W speakers with Dolby Audio. The TV also comes with a special mode which switches off the display so that it can be used to just play the audio — something you might like to use when listening to music. In terms of connectivity, the Sanyo Smart TV comes with three HDMI inputs, two USB ports, a headphone jack, an AV input, Ethernet, and an RF port. 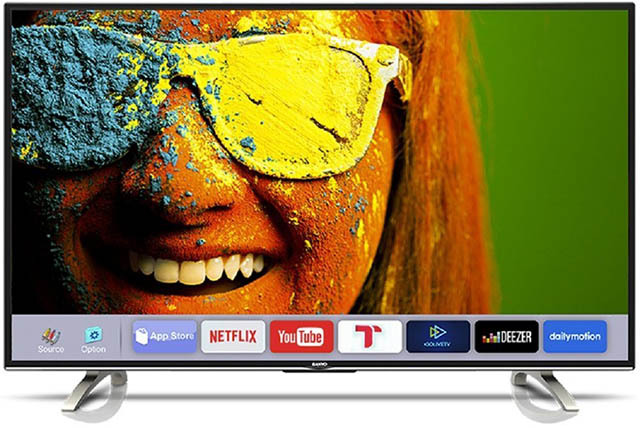 Being a smart TV, Wi-Fi comes as standard on this Sanyo TV. Users can also mirror their smartphone displays directly onto the TV. Sanyo bills its Smart TV to be highly energy-efficient and boasts a 5-star BEE rating which will help you save a lot in the electricity bill. Additionally, apart from the table stand, a free wall mount and installation is guaranteed by the company while the TV also comes with a warranty of one year. Although the Sanyo Smart TV has an MRP of Rs. 46,990, the usual price on Amazon swings between Rs. 26,990 and Rs. 27,990. As part of the sale, the smart TV is available for Rs. 25,990 (45% off on MRP) while EMI options start at Rs. 1,236 per month. Meanwhile, if you’re looking for a slightly bugger unit, you can go for the Sanyo 49-inch LED Smart TV which also enjoys a 44% discount on MRP.